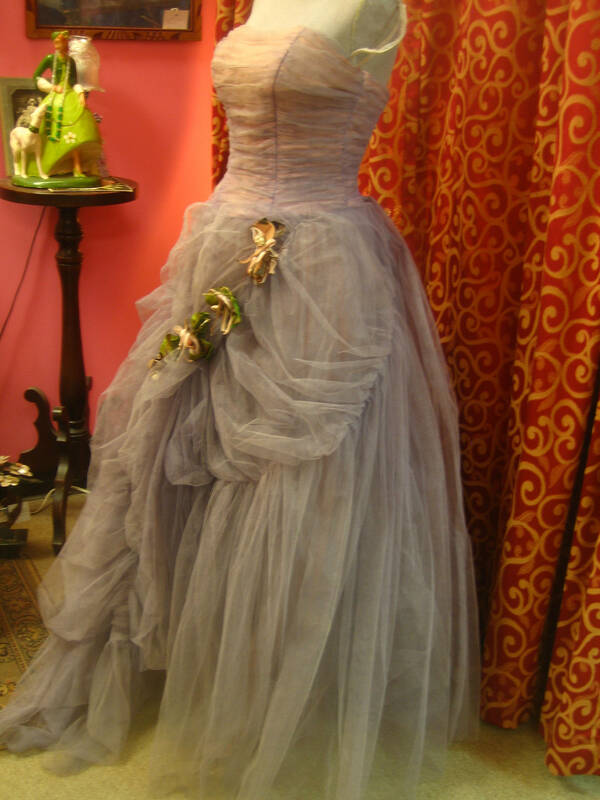 1950's, 34 bust, lavender full length prom gown. 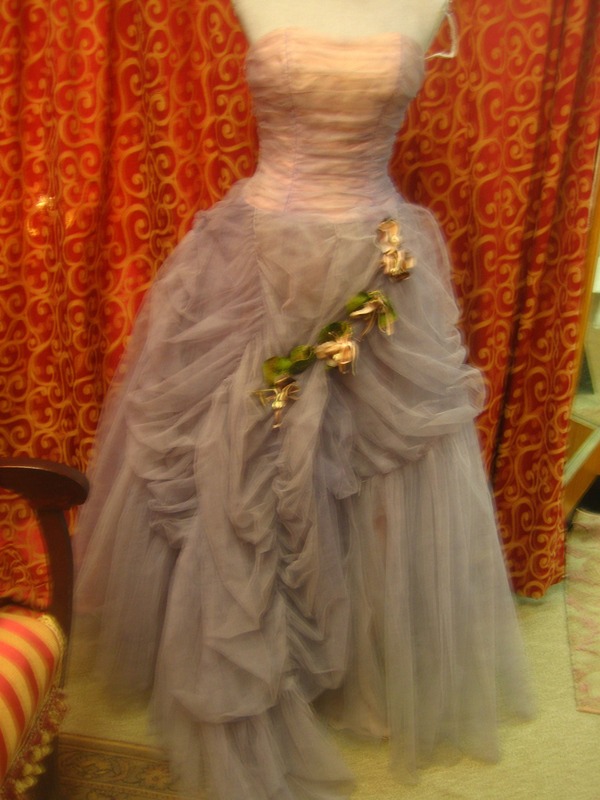 1950's, 34" bust, lavender full length prom gown. 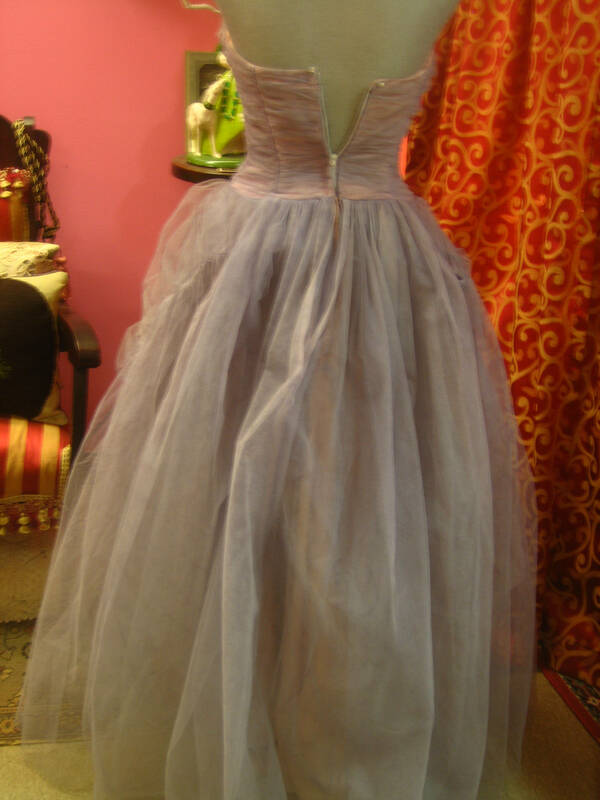 1950's, 34" bust, lavender blue, yards and yards of puffed net and mauve taffeta full length prom gown. 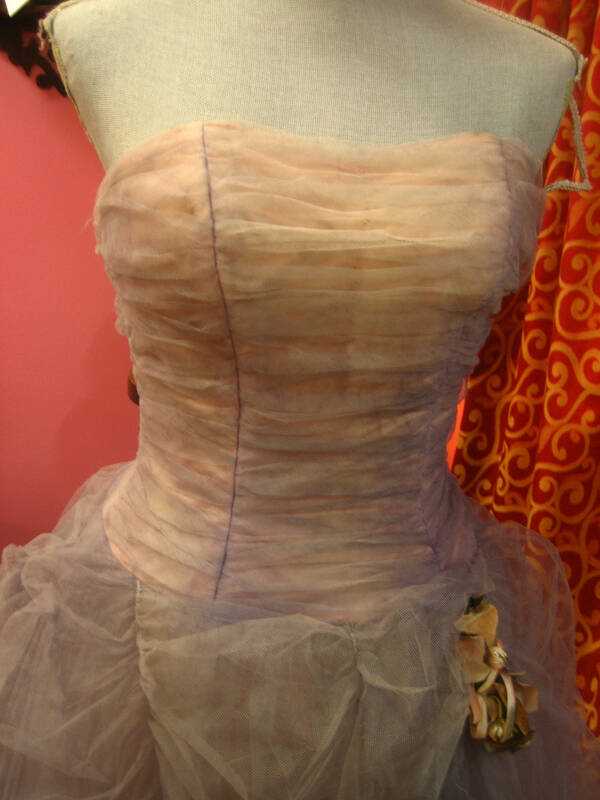 Lavender blue net is lined under bodice with mauve taffeta from bust to waist, and a fill length mauve petticoat is under the net over-skirt .Bodice is strapless and is boned and pleated from bust to waist. Garland of pink and gray flowers, with green leaves, run along the front apron of gown. Long side zipper fastens gown on left side. 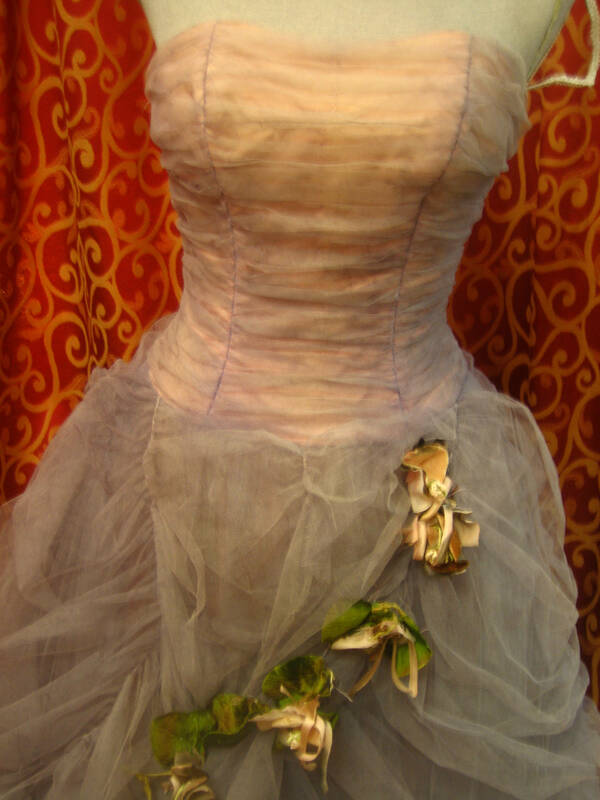 long bust to hem 46"
width at bottom petticoat 112"
width at bottom of net skirt 136"
Condition: gown is very strong and in generally good condition, but there is quite a bit of mending under garland in front of gown.